Comment: 156 square foot kitchen needs either laminate tile,or linoleum. Bottom molding as well. Comment: looking for adding wood in one room and stairs to match existing floor. and 3 bed rooms 1 tv room and hall. need to have furniture moving in bid. Comment: It is a prefinished bamboo floor, which needs to be sanded and refinished. Comment: Need about 3 places to be restreched & 7 rooms , stairs and small hallway cleaned. Comment: Red oak flooring was installed previously in the bedrooms. We'd like to get it installed into the rest of the house (excluding the kitchen and bathrooms), about 900-950 sqft. It currently has some well aged laminate in place that would need to go and, if its anything like the bedrooms, the subfloor is subpar. Currently the house is empty so nothing is in the way. Depending on the cost, we may also be interested in having trim installed as well. We can demo out the old trim and floor ourselves if need be or depending on demo cost. Christian Brothers Floor Service, Inc.
Carnation Flooring & Carpet Contractors are rated 4.82 out of 5 based on 345 reviews of 16 pros. 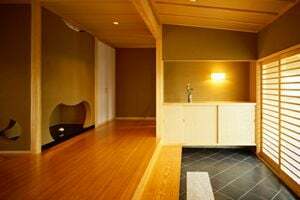 Not Looking for Flooring & Carpet Contractors in Carnation, WA?